On South Padre Island, fishing year round is a high priority,but starting in August things really crank up in the realm of competitive tournament fishing. For some people it isn’t enough to just go fishing, they have to compete against others to see who can catch the biggest and best fish. If you are one of those, gear up, because it’s officially fishing tournament season on South Padre Island! While women participate in TIFT, they either don’t like the male competition or can’t get enough of the fishing life, so much so that they have their own tournament. The Ladies Kingfish Tournament, or LKT, is also being held at Port Isabel and South Padre Island. On August 11th to the 13th, 2017 the ladies will be going after the big ones that got away just the week before at TIFT. 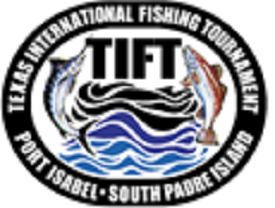 Each of these tournaments bring lots of people to Port Isabel and South Padre Island. Those of us whom aren’t competing but that still get excited about competitive fishing can go to the docks as boats come in from a long day on the water, and view the impressive catches and weight-in. Both tournaments weigh-in at the Southpoint Marina in Port Isabel. TIFT weigh-in times are Friday, August 4th, between 2:00 pm and 8:00 pm, and on Saturday, August 5th, between and 2:00 pm and 7:00 pm. The LKT, Bay and Offshore Divisions, weigh-ins are both on Saturday, August 12th. The Bay Division weighs in from 1:00 pm to 3:30 pm, with the Offshore Division coming in between 4:00 pm and 7:00 pm. But Wait… There’s More Fishing!!! The 2nd Annual Wahoo Classic takes place September 8th to the 10th at Jim’s Pier on South Padre Island. The three categories include Wahoo (of course, it is the Wahoo Classic), Black Fin Tuna, Dorado/Mahi Mahi, with cash prizes totaling $15,000. 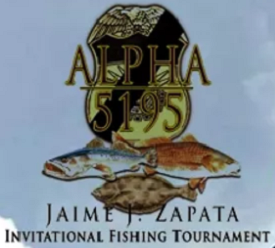 The 1st Annual Alpha 5195 Jaime J. Zapata Invitational Fishing Tournament is next in the list. The tournament is scheduled for September 15th and 16th at Jim’s Pier, with weigh in on Saturday the 16th from 1:00 pm to 3:00 pm. The tournament is honor of Jaime J Zapata, and ICE agent, who was killed in the Mexican state of San Luis Potosi on February 15th, 2011. The final call by dispatch to ICE Special Agent Jaime Jorge Zapata came shortly after 11:00 a.m. on a Tuesday in 2011. 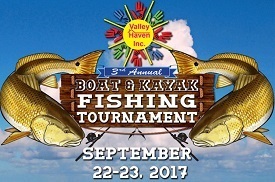 Valley Havens 3rd Annual Boat & Kayak Fishing Tournament is happening September 22nd and 23rd, 2017 at Louie’s Backyard in South Padre Island. $11,000 in cash prizes, customs plaques, raffle, social events and many more activities. We look forward to seeing you there!! family members may be out on the water? I’m thinking Schlitterbahn Beach Waterpark. How can you go wrong? (Maybe forget sunscreen.) There are lots of things for the rest of the family to do on South Padre Island. First there is the beach, the Gulf of Mexico and the Laguna Madre, so swimming, surfing, skimboarding, snorkeling, jet skis, parasailing, paddle boarding, kite boarding, kayaking. On land there is horseback riding, golf carts, beach bicycles, Segways, ziplining, shopping, and restaurants. Inland there is the lighthouse, deep water port, and zoo. See lots more Area Info. Do you rent multiple hotel rooms to accommodate your whole family, or do you all stay in one of the many spacious vacation rental properties available on the island? These are individually owned condominiums and homes that owners share with guests from all over. Padre Island Rentals has a great selection of vacation rental homes for groups and budgets of all sizes. Experience Better with Padre Island Rentals Professional Vacation Rental Hosts. Our best deals are found by booking direct. SPECIAL OFFER – Book now and receive a $50 SPI Fun Pass to any of the great adventures at Osprey Cruises. Use coupon code $50OspreyFree when booking online. Or call us at 877-567-3157, and be sure to tell our professional vacation rental hosts you want the Free $50 Osprey offer. See More Details. The fishing tournaments are here again. School is going to start again soon. Time to make the most of the summer days left. 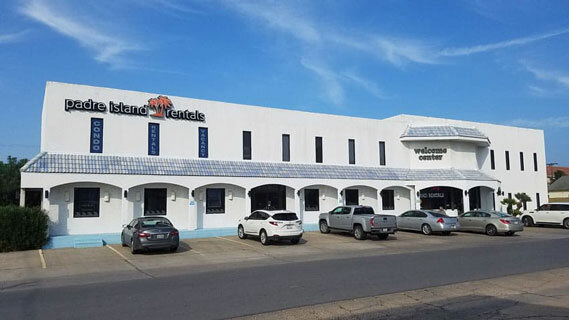 Come experience better on South Padre Island.